Eastbound along US 360. This was still a cutout until the very late 90s. Photo by Mapmikey, taken April 26, 2006. A wider view approaching VA 10 eastbound along US 360. Photo by Mapmikey, taken April 26, 2006. Beginning down VA 10, which has no posting until VA 161. 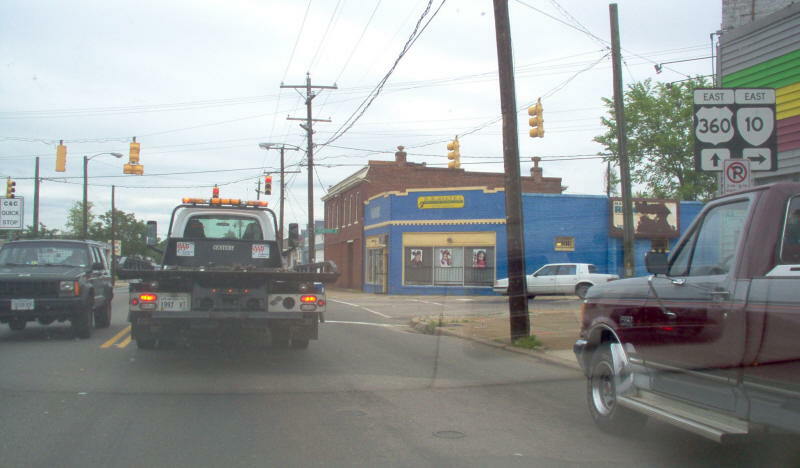 Photo by Mapmikey, taken April 26, 2006. From US 360 westbound, which has no posting for VA 10 anymore. Photo by Mapmikey, taken April 26, 2006. 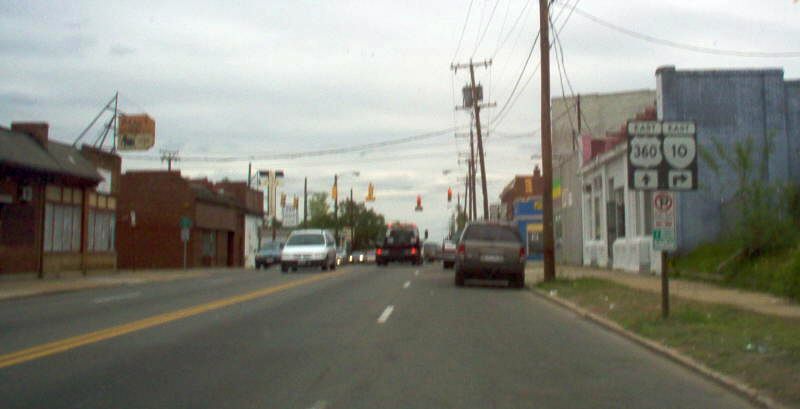 Eastbound along Washington St (VA 337) at S Main St (VA 32/BUS US 13) in downtown Suffolk. Although not signed, this is the eastern terminus of VA 10, coming from the left triplexed with VA 32 and BUS US 13. Photo by Adam Froehlig, taken March 19, 2003. 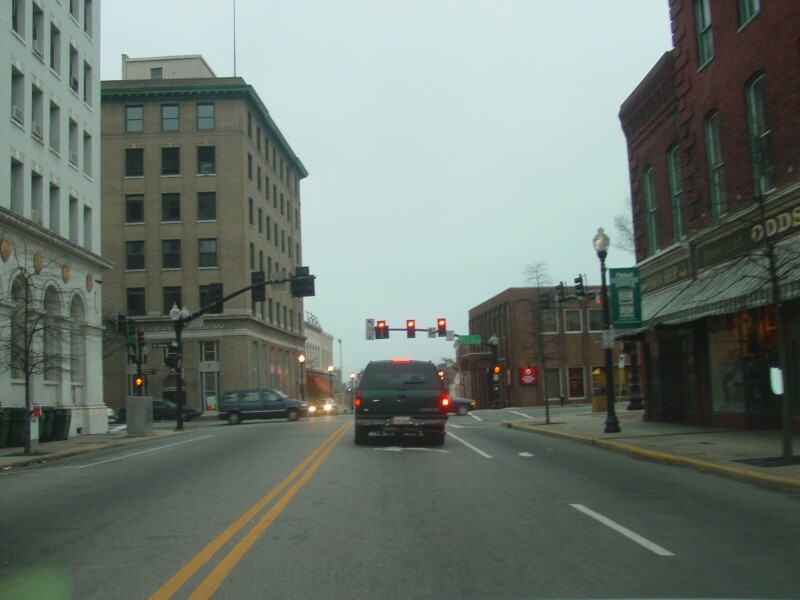 Northbound Main St at Washington St. Today this is US 13 Bus/VA 32 north at VA 337 with VA 10 beginning ahead. 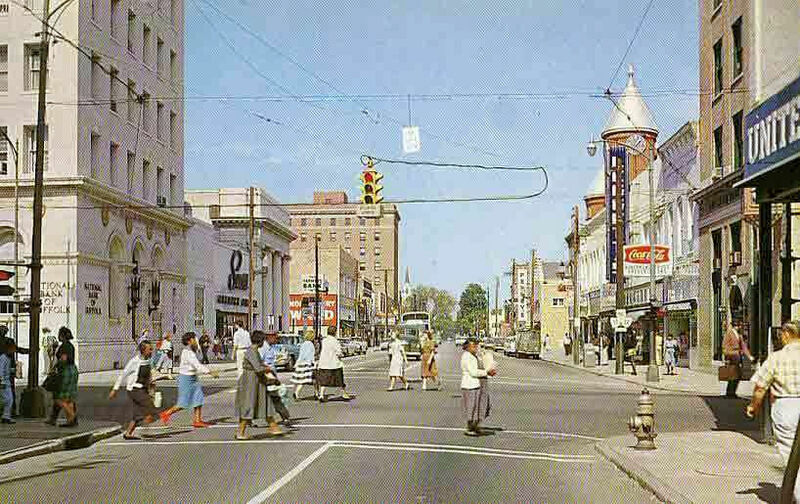 Back when this 1950s postcard was taken, this was VA 32 north at US 58-460 whereby VA 10 starts ahead (and posted!) and US 460 joins from the right. VA 10 has begun here since 1940 and also began here 1933-35.